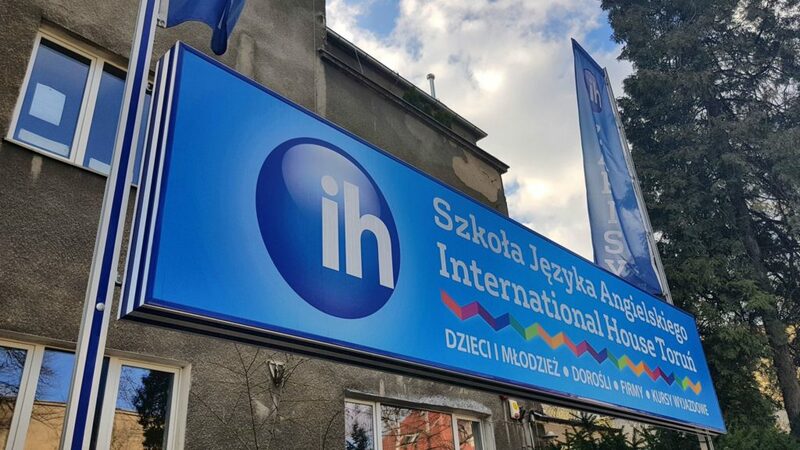 IH Torun has approximately 13 teachers, and about 420 students in and out of school and some in-company. Ages range from 7 to adult, divided into 3 age streams. Mostly it is general English, but there are special classes such as Cambridge exam preparation and exam clubs (FCE, CAE, CPE). The school also has a branch in Inowroclaw (45 mins away), where some teachers spend two afternoons/evenings a week. The school is situated about an 8-minute walk from the old town. There are eleven classrooms of varying degrees of size on two floors. It boasts its own computer room with internet access, a small teachers’ kitchen with fridge and microwave, and two teachers’ rooms. There is also a social programme for staff and students including pub quiz nights, karaoke evenings, bowling outings, escape room visits, treasure hunts and children’s parties. The school has a friendly, open atmosphere and offers daily teacher support from experienced staff. There are weekly teacher development sessions led by senior staff and regular teacher observations to help you improve your teaching. The management is always approachable and helpful, operating an open-door policy. There are free Polish beginner lessons each week for all our teachers.